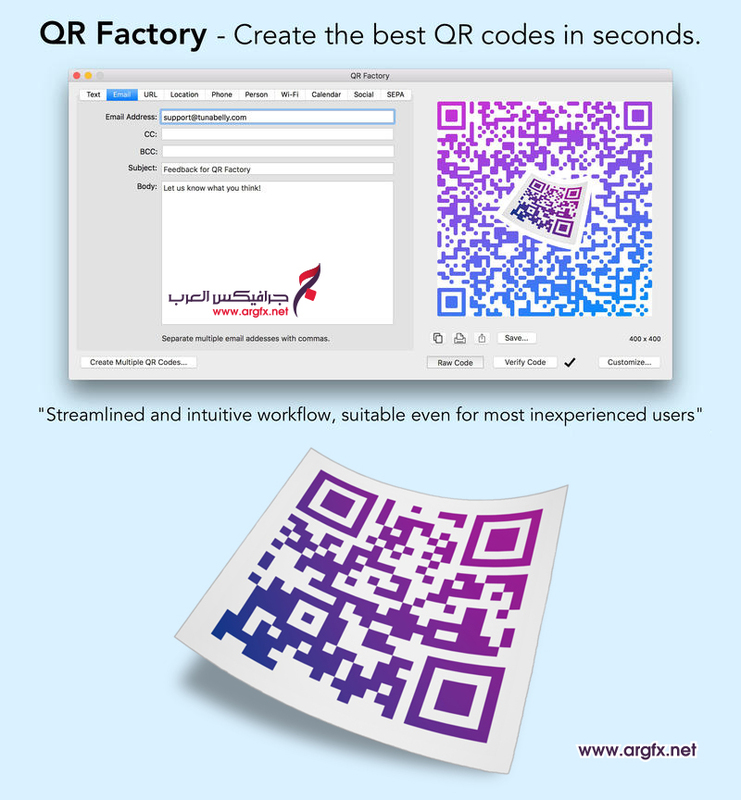 The most advanced QR code creator for Mac + enjoy unlimited batch creation from CSV files. • Customize your code with smooth rounded corners, beautiful gradients, background colours, enhanced reliability or even your own logo in the middle. • Save as bitmap (PNG) or vector (PDF), or instantly share on FaceBook, Twitter and more. • Use the full featured map search for making location codes or use an existing contact to make a MECARD/VCARD code.